Experience awe-inspiring views from “The Top of the World” on horseback. Cast your reel and learn to fly fish on a Blue Ribbon trout stream. 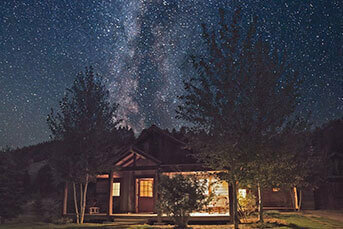 Or just kick back under the Big Sky in your own private suite, cabin or barn – unless you’d prefer a luxury tent? 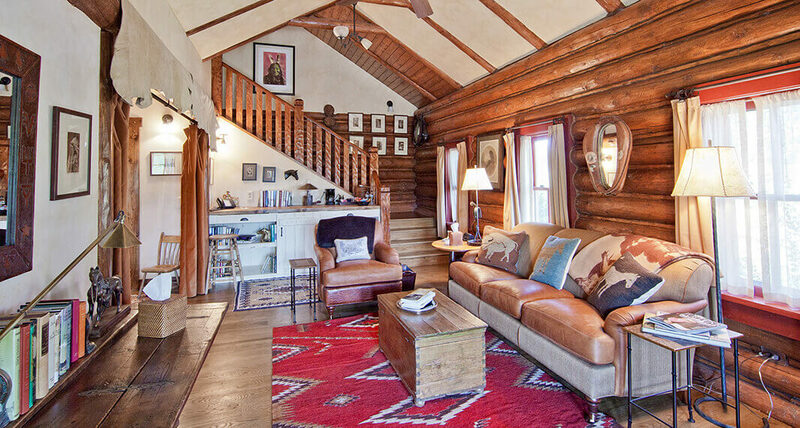 Nestled into one of Montana’s most pristine valleys, The Ranch at Rock Creek offers an authentic 19thC homestead that perfectly balances Western adventure with lavish amenities. Perfect for anyone whose idea of adventure includes open plains and authentic Western experiences (think horseback riding, fly fishing and archery) coupled with first-rate accommodations and top tier service. Favourite Ranch Experience? Catching trout in the eponymous Rock Creek! The Ranch offers everything you need to live out a real-life Western fantasy – right down to the saloon – and wraps the whole experience in total luxury. The Ranch at Rock Creek is located in the heart of Southwestern Montana, near the historic mining town of Philipsburg, Montana. The most convenient commercial airport with the best flight availability is Missoula International Airport (MSO), a short 1.5-hour drive to The Ranch. During summer season, carriers such as Delta and United add direct flights from major cities to Missoula and Bozeman. 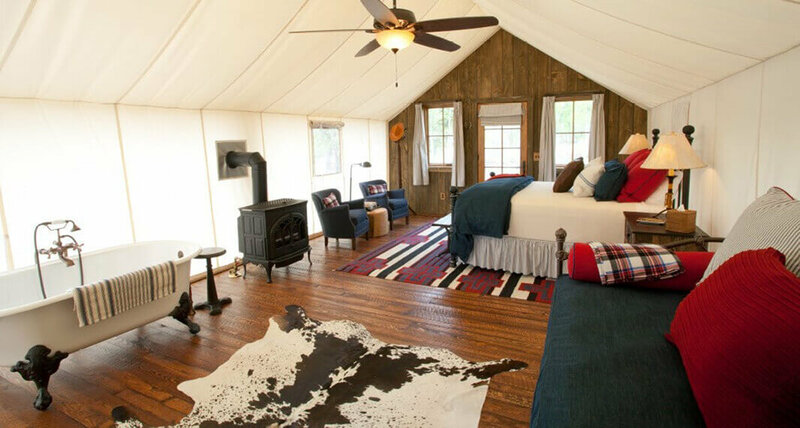 Ranging in size from one-bedroom suites to five-bedroom homes, The Ranch offers four distinct styles of lodging: Granite Lodge suites, a converted Historic Barn, Luxury Homes and Canvas Cabins for glamping. In each case, the design echoes home more than hotel‒‒with deluxe amenities, custom furniture and decor that showcases a distinctive Western heritage. 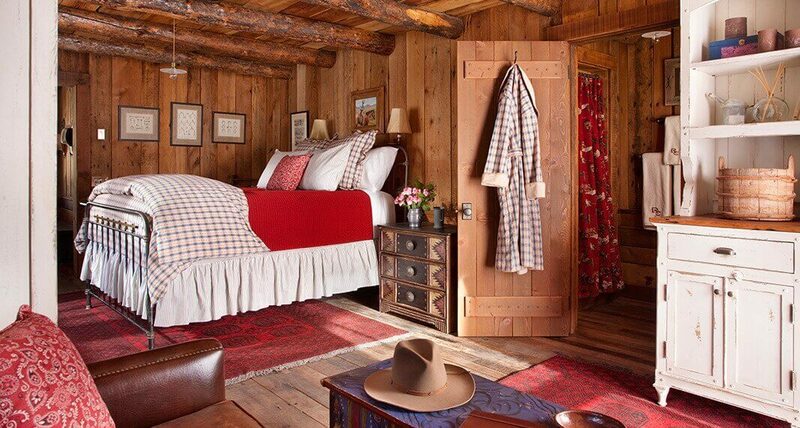 This unique lodge features nine one-of-a-kind rooms, lavishly appointed in authentic Western style. Nine rooms range in size from 315 to 397 sq. ft. Two rooms are located on the first floor, with seven on the second floor. Each is equipped with personal cruisers or mountain bikes for on-Ranch transportation. Remington, located on the first floor, is ADA compliant. Enjoy immersion in nature without sacrificing modern comforts on the ultimate glamping adventure. Four styles of glamping cabins available: Classic Canvas Cabins, Family Canvas Cabins, the Trapper Cabin and the Sweet Grass Cabin. Contact us for more details about each cabin. The remodeled 19thC barn has three specialty accommodations that capture the historic splendor of a Montana ranch vacation. The Historic Barn is located near Camp Roosevelt, the Blue Canteen and the Rod & Gun Club. A shared lower porch looks out over a lawn of wildflowers and native grasses. The three accommodations can be reserved together as a three-bedroom family suite. Seven homes are available: Bluebird, Eagle’s Perch, Cattail Cabin, Sara Jane’s Cottage, Moose House, Bear House and Ponderosa. Contact us for details on each.